What happens when you don’t maintain your car? Well, something eventually fails. The same goes for your equipment. Most problems that happen to machinery are due to a lack of maintenance. From troubleshooting your problems to fixing them, our industrial machinery experts and electrical technicians specialize in keeping your equipment in tip-top shape. Whether you contact us once a year or every day, Atlas meets all your maintenance requirements. 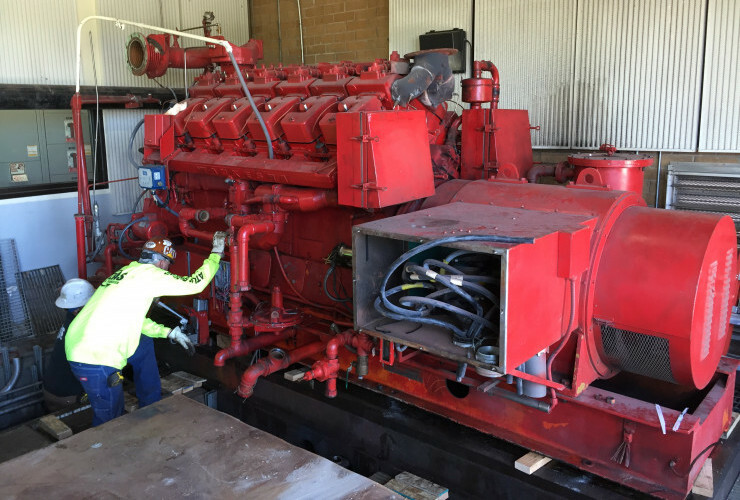 Maintenance issues often involve, cleaning, greasing, oiling, adjusting, painting, refinishing, drilling, modifying, flushing out, draining, electrical services, PLC updates, and providing any service your machinery requires on a regular basis. Contact one of our machinery specialists to design a maintenance schedule that fits the needs of your production schedule. Moving surfaces create friction. Friction creates resistance. Resistance is lethal to the life of machinery. Eventually every machine will need some type of repair. We provide all aspects of machinery repair, such as roll replacement, hydraulics, bearing repair and replacement, sprockets and cogs, cracked machinery bases, old wiring, damaged controls, all electrical services, precision alignment of machine surfaces, or full machinery overhauls. Stroke after stroke time wears on hydraulics. Not to mention all of the foreign objects that can tear seals packing, or scratch the ram itself. When parts of the hydraulic cylinder are compromised a by-pass of fluid and eventual loss of power occurs. If neglected for too long a hydraulic cylinder will begin to self-destruct. Regular maintenance and check-ups on cylinders can prevent what could be a catastrophe later on. Hydraulic power units, hydraulic motors, fittings, and tubing are also subject to damage over time. A preventive repair early on can save many hours or days in down time later on. It is important to constantly monitor hydraulic systems. So remember, if the ram you are using needs new packing, seals, wipers, re-chroming or anything else we can fix it. If your hydraulic system is having some problems or needs to be modified or installed Atlas is available to meet your needs. Five hundred ton press or small hydraulic ram, we provide on site or shop service for all your hydraulics needs. Our industrial machinery mechanics (millwrights) and electrical technicians are specialized in keeping your equipment in tiptop shape and troubleshooting your machinery problems. Whether it’s once a year or everyday, Atlas will meet all your maintenance requirements. Sit down with one of our machinery specialists to tailor a program that fits your needs. Atlas Rigging & Transfer works to ensure that your equipment is relocated, installed and back online — efficiently, in a timely manner and, most important, safely. Contact our machinery specialists and let us tailor a maintenance program that fits your needs. © 2018 Atlas Rigging & Transfer, LLC. All rights reserved.